And so, it begins! 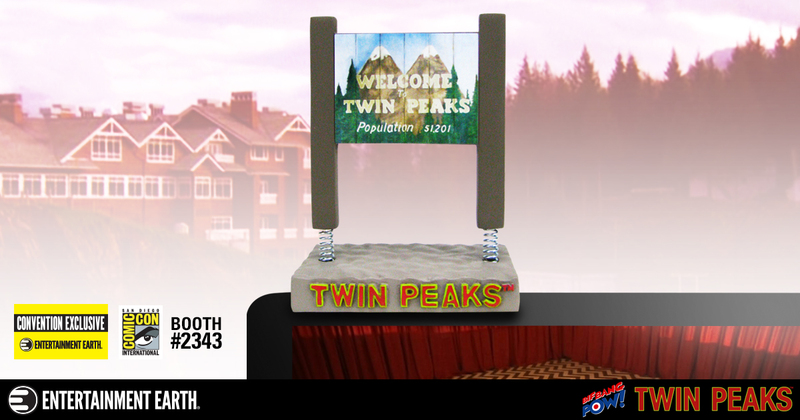 With the new SHOWTIME® limited event series that premiered this past Sunday (May 21, 2017), Entertainment Earth announces its first 2017 San Diego Comic-Con Convention Exclusive - the Welcome to TWIN PEAKS Sign Monitor Mate Bobble. TWIN PEAKS® debuted in 1990 and, in retrospect, is a harbinger of the Golden Age of Television. 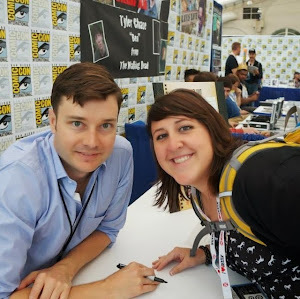 Widely regarded as one of the best television dramas of all time, it mixed mystery, horror, and soap opera into one surreal package, delighting and mystifying audiences. Now, you can celebrate the return of the award-winning television series TWIN PEAKS on SHOWTIME®. Let your office mates know how much you miss Laura Palmer and the quirky characters of Twin Peaks, Washington with this Monitor Mate™. Perched high atop your computer workstation, fly your flag of fandom for the once and future king of primetime melodramas. The sign looks much like the famed sign from the series, apart from being scaled down to fit on top of your computer monitor and being attached to springs for a pleasing bobbly effect. Crafted of resin, this colorful sign will add mystery to the decor of any office. It attaches to your computer - or any surface with a non-damaging adhesive pad. This official TWIN PEAKS collectible from Bif Bang Pow! enhances the room and makes an excellent gift for any fan of the series. Fans attending San Diego Comic-Con 2017 will be the first to grab the Welcome to TWIN PEAKSSign Monitor Mate, which has a limited production run of 1,200 pieces, at San Diego Comic-Con on July 20, 2017 in the Entertainment Earth booth (#2343)!